There is so much that you can do with pumpkins! 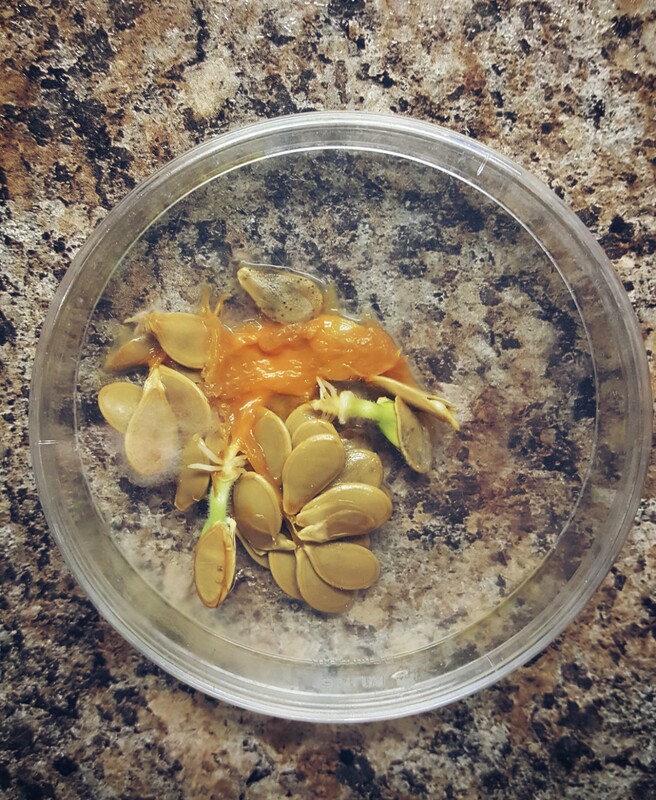 I have been doing some fun science experiments for kids that involve lots of fall items, like our fall sensory walk and our Dancing Acorns experiment. 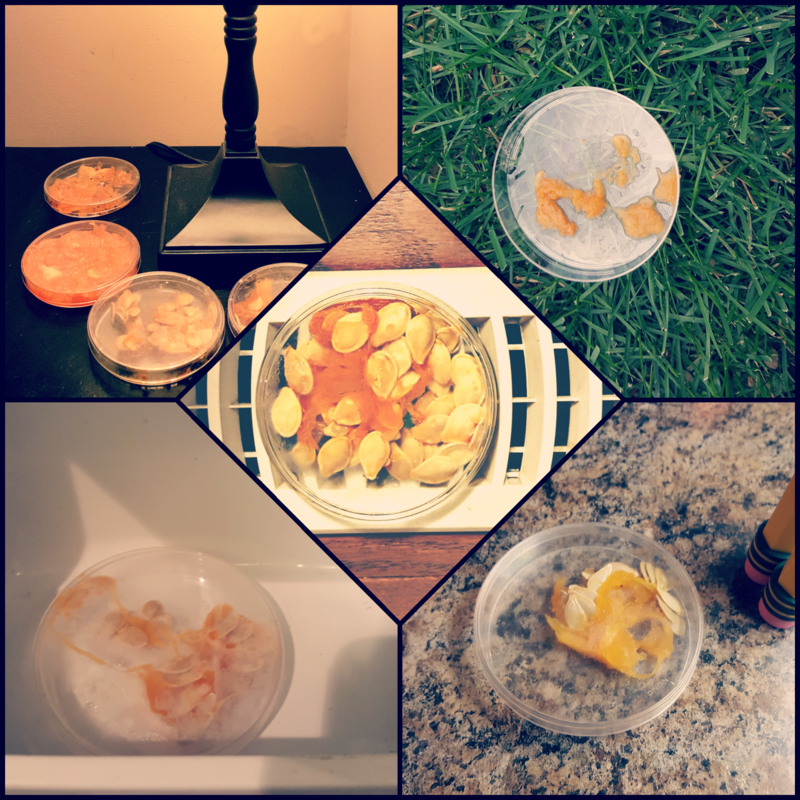 I found some old Petri dishes and immediately knew that I wanted to used them for our next experiment. 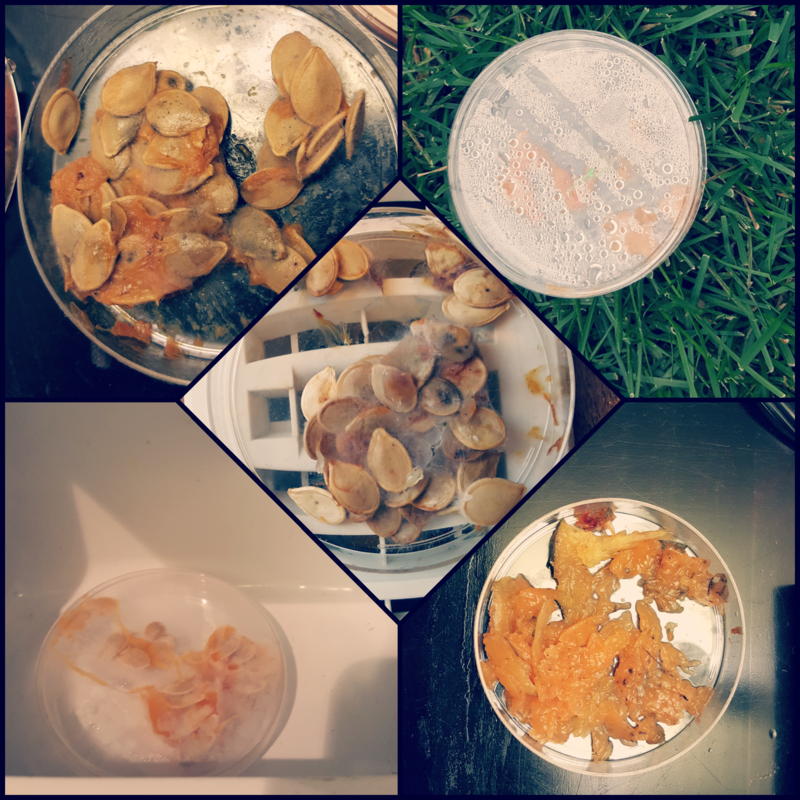 We tested what would happen to pumpkin seeds and goo when placed in a Petri dish and then placed in different places around the school/house. I love using Petri dishes and other science materials that are not usually introduced to young kids. 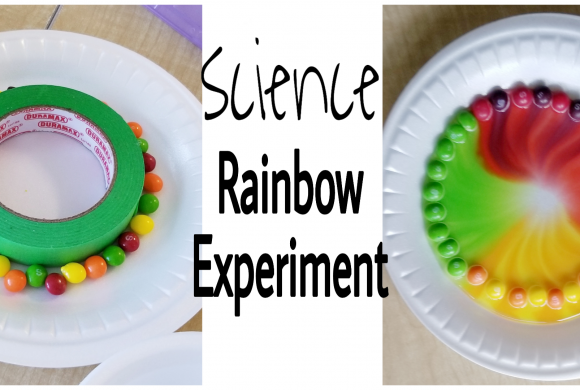 Kids love feeling like real scientists! If you don’t have Petri dishes, plastic baggies would work. Each group got a pumpkin to scoop some goo and seeds out of and place into their dish. 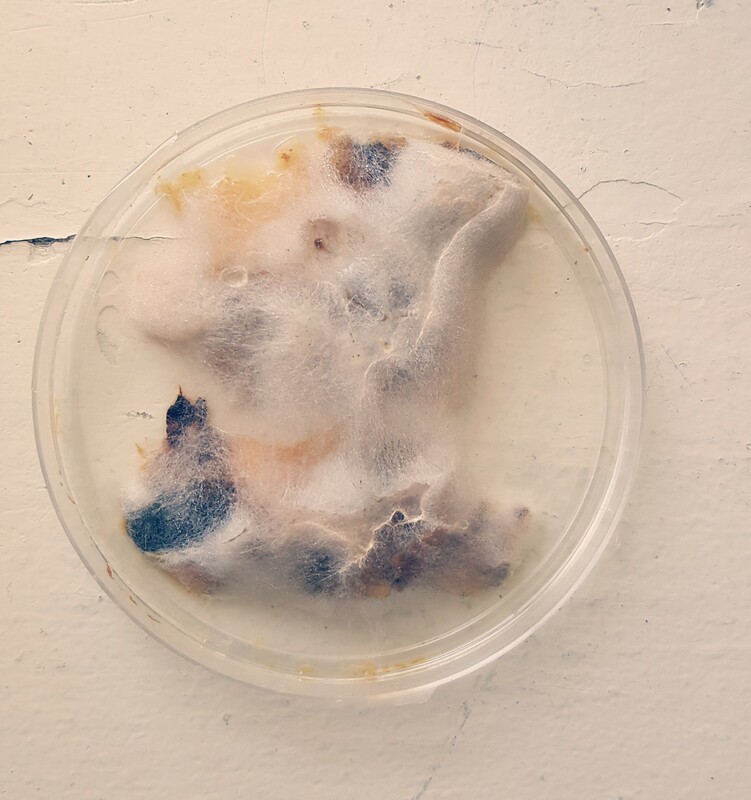 We left our Petri dishes for roughly one week. Before we checked on them, I had students make predictions as to which pumpkin they thought changed the most over the week. We created a tally chart to record our predictions – any chance to add in a little math is always a bonus! 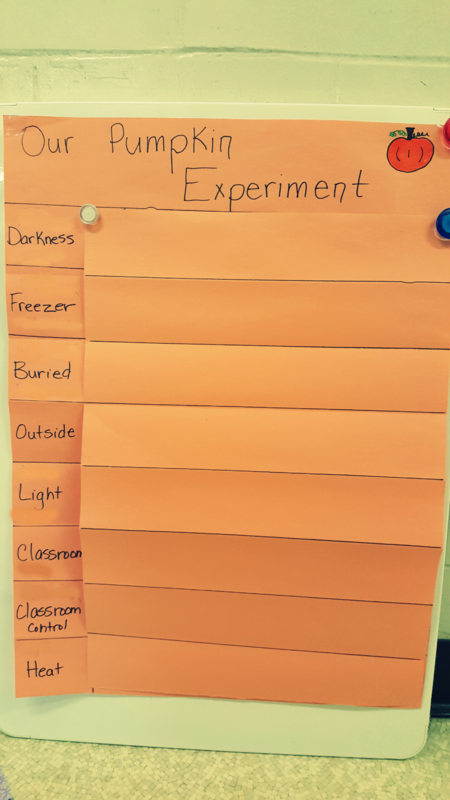 Most students predicted that the pumpkins that were either in the freezer or buried changed the most. However, they didn’t think that there would be much change overall. 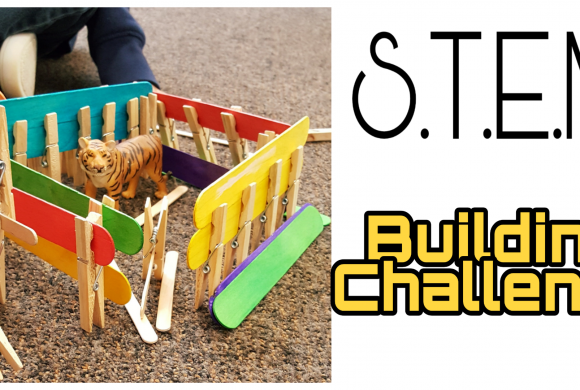 I was so excited to share the results with the kids! The results are below! The one that we left out in the classroom (that we didn’t touch) had sprouted! 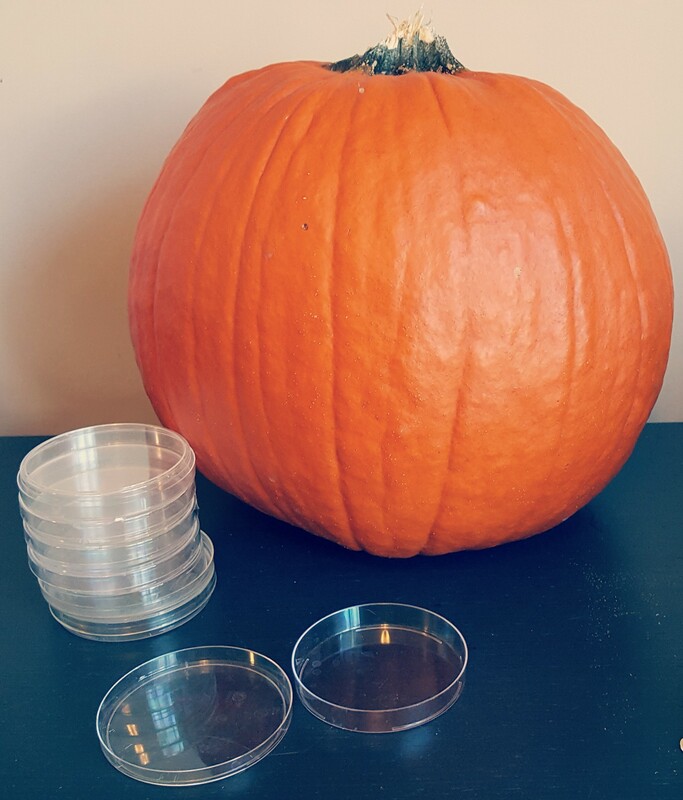 The pumpkin Petri dish in the classroom, that was handed by everyone had changed the most! At first students thought that it was cotton candy, or a spider web, but upon closer inspection, and a discussion, we realized that the pumpkin had rotted and started to go moldy. (I must note that where this dish was placed in the classroom was very warm and likely caused part of this drastic change.) Either way it was great for kids to see. Our other pumpkins did change, but not as drastically. The one on the register (heat), did start to grow some mold. The one in the freezer froze, but did not change. There was condensation on the one outside and buried. Many of the pumpkins had become a bit runny and students noticed ‘pumpkin juice’. 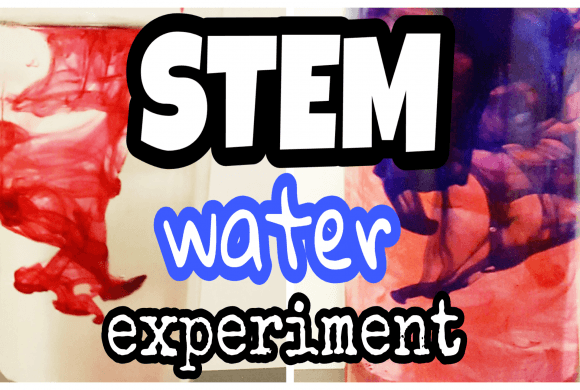 The whole experiment caused lots of great discussion. We talked about the fact that temperature and location can play a part in speeding up, or slowing down the process of decomposition.